Swerve: Professional wrestling terminology that describes an unexpected action or event that takes the audience by surprise. ShoeboxLA is pleased to present its first group show, Swerve, curated by gallery co-founder Sophia Allison. Artists Amparo Jelsma, Melissa Manfull, Julio Panisello, Carl Smith, and Jaime Ursic primarily work in the two-dimensional realm (painting, drawing, printmaking); for this exhibition, however, each artist was asked to create a work of sculpture. Beyond size restrictions, no other instructions or requirements were provided. While it is not unusual for artists to work in both painting and sculpture simultaneously, it can be a challenge to move fluidly between these mediums. The resulting work may or may not be a translation of the artists’ primary practice but it will be exciting to view the results. Join us for this special event. 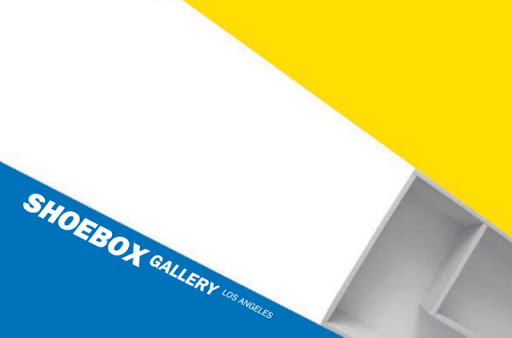 ShoeboxLA gives Los Angeles artists an opportunity to do one-day, site-specific exhibitions outside the traditional gallery setting. Founders Sophia Allison and Paul W. Evans provide an intimate space that challenges artists' and viewers' expectations of size and scale. Locations change for each show but the space remains the same.